The Knit and Pray Group, under the leadership of Puffin Coe, meets at the church on the second Tuesday morning of each month year-round. We welcome all knitters at all skill levels, as different yarns and patterns are readily available. 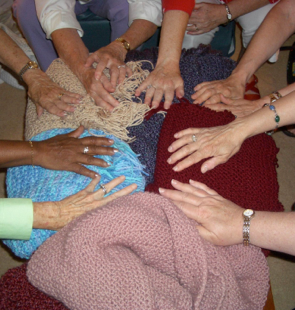 Our focus is knitting prayer shawls to comfort those with health or emotional challenges. We also knit hats and scarves for the Seamen’s Church Institute (SCI) Christmas at Sea program based in Newark. 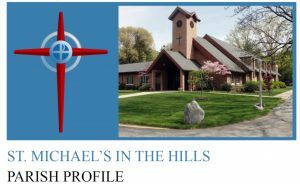 SC has had a long-time affiliation with the Episcopal Church. Additionally, winter hats are knit for underserved school children in Toledo and scarves have been knit for the Winter Special Olympics. At the end of meetings, members of the group gather to bless each completed gift. Gifts are delivered with a written prayer.